The Office of the Colorado State Public Defender provides legal assistance to individuals charged with a crime in Colorado state court who are financially unable to retain private counsel. The office consists of 21 regional trial offices, a centralized appellate office that handles appeals from every jurisdiction, and a centralized state administrative office. In 1963, after Gideon v. Wainwright, the Colorado General Assembly passed the Colorado Defender Act. 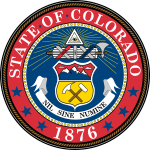 This Act authorized Colorado counties to either establish a public defender's office or remain under the previous ad hoc system of appointing counsel for indigent citizens accused of criminal offenses. Four county public defender offices were established under the Act: Denver, Brighton, Pueblo and Durango. In 1970, the State Legislature passed Senate Bill 126, which created the Office of the State Public Defender as an independent state agency. Initially, the Colorado Supreme Court appointed the Colorado State Public Defender. Rollie R. Rogers was the first State Public Defender. He served from October 1969 through February 1978. On August 1, 1982, David F. Vela was appointed State Public Defender. He fulfilled the responsibilities of the office for more than 17 years, until his retirement on December 31, 1999. David S. Kaplan became the State Public Defender and served from January 1, 2000 until October 31, 2006. Upon his resignation, Douglas K. Wilson was appointed the 6th State Public Defender, effective November 1, 2006. The Public Defender has offices throughout Colorado: Alamosa, Arapahoe, Boulder, Brighton, Colorado Springs, Denver, Dillon, Douglas, Durango, Fort Collins, Glenwood Springs, Golden, Grand Junction, Greeley, La Junta, Montrose, Pueblo, Salida, Steamboat Springs, Sterling, and Trinidad. ^ "Office of the Colorado State Public Defender". Retrieved 12 September 2018. ^ "CO Public Defenders - What We DO". pdweb.coloradodefenders.us/. Retrieved 31 January 2015. ^ "History of the Office of the State Public Defender". pdweb.coloradodefenders.us/. Retrieved 31 January 2015. This page was last edited on 2 February 2019, at 20:47 (UTC).